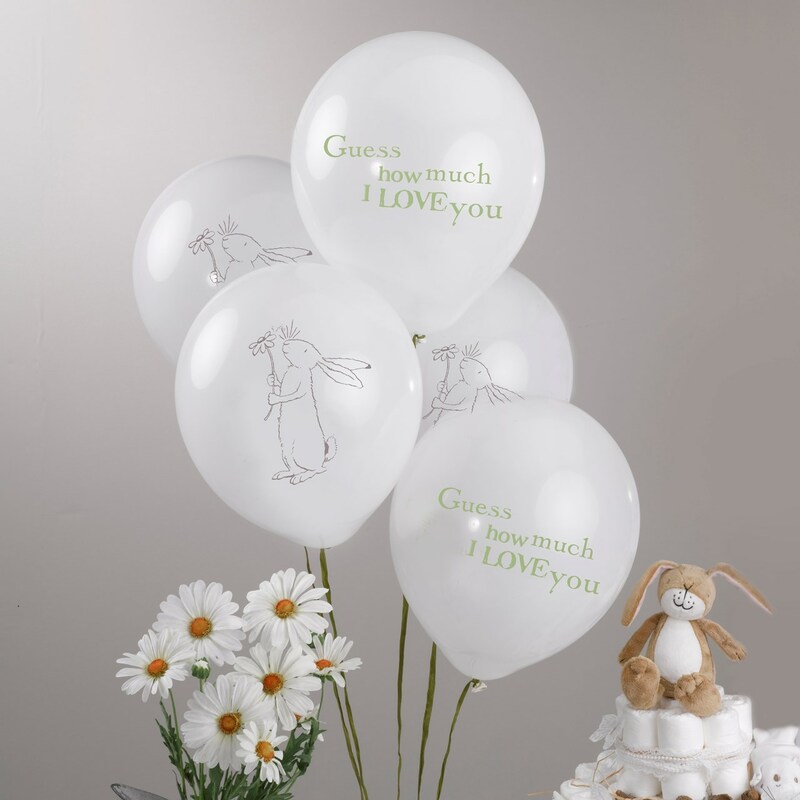 Spruce up your baby shower, Christening or first birthday party with these pretty balloons, based on the heart-warming children’s classic, ‘Guess How Much I Love You’. Each pack contains a mix of two designs on a white background, a lovely way to decorate your room or venue. Each pack contains 8 Balloons.